We were meant to lend out our fur jerk for an afternoon with our friend's kid, but the incessant rain made us shelves those plans for another day. That didn't stop the adults getting together for some good food and nice wines, and we met up at Beefbar tonight. I've always enjoyed the beef here, and tonight we simply got ourselves some starters and shared a few cuts of beef. Plus some desserts. Simple. 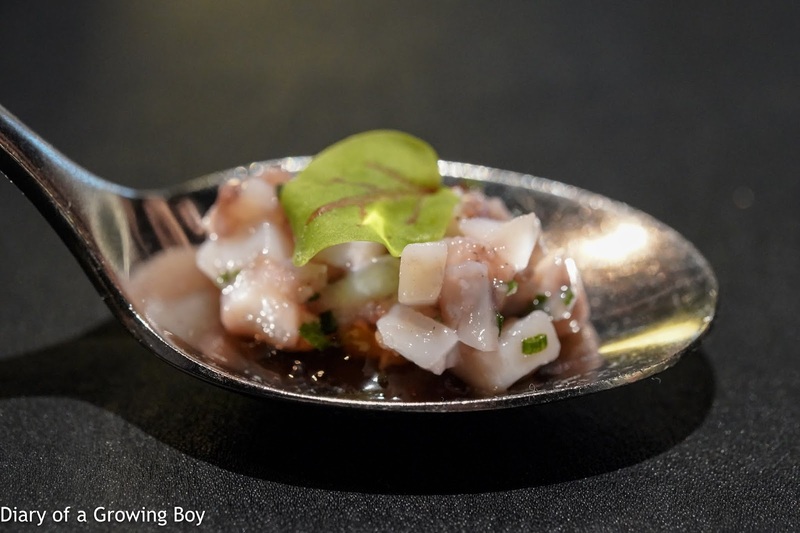 Our amuse bouche was diced cuttlefish with cucumber and tosazu (土佐酢) jelly. 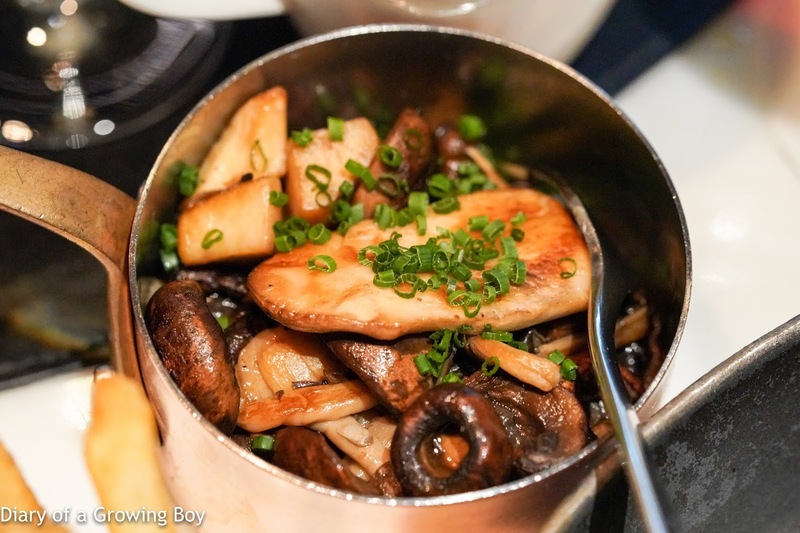 Texture of the cuttlefish was kinda mushy. 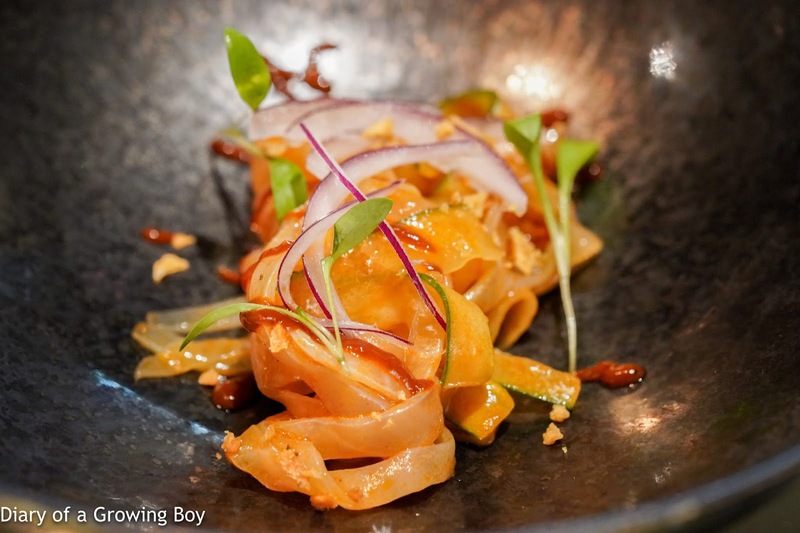 Cuttlefish, spicy pepper sauce - the cuttlefish had been sliced into fettucine-like noodles. Not bad. 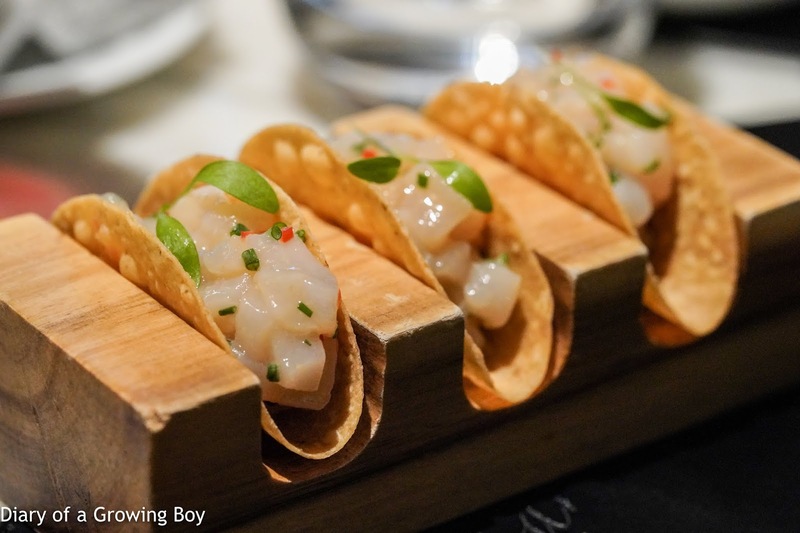 Scallop, white miso crunchy tacos - this was alright. Kobe and sea urchin crunchy tacos - I ordered this because this is the kind of stuff that we see more and more of on menus: chefs throwing together luxury ingredients just to impress diners. 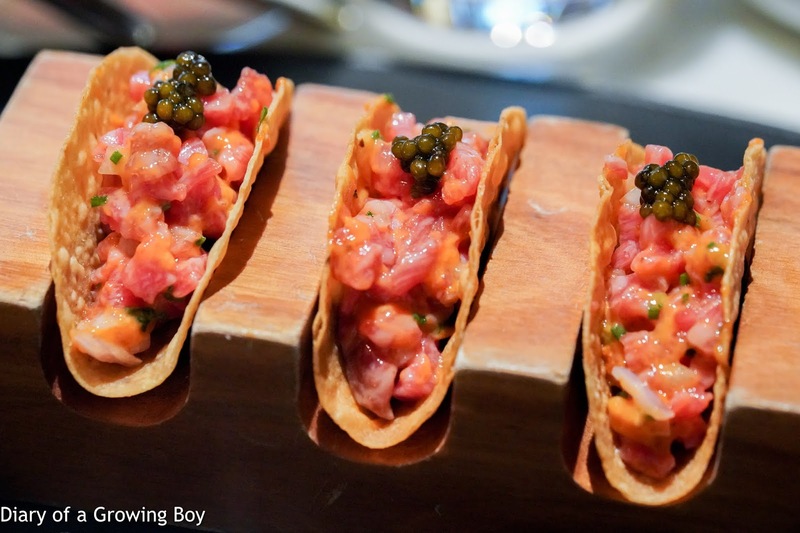 Here we've got premium Japanese beef, sea urchin, and caviar. These tacos tasted fine, but not earth-shattering. 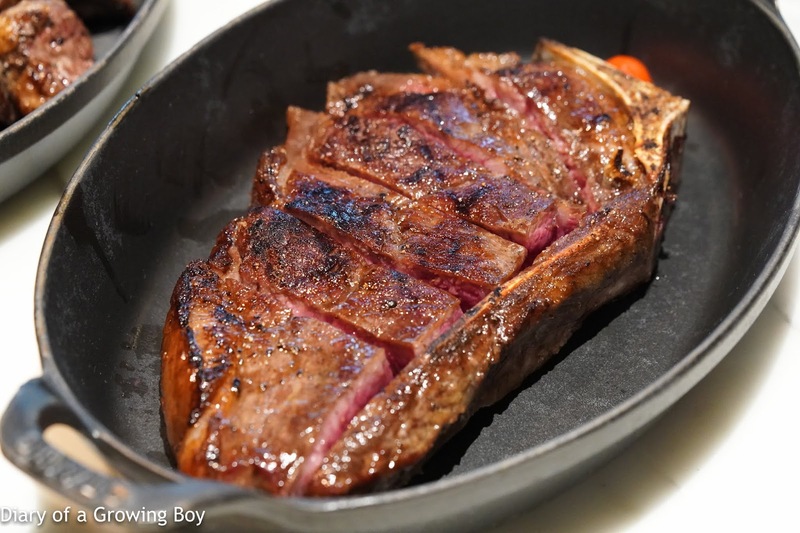 U.S. Prime Black Angus rib-eye cap - this turned out to be the tastiest of the three. 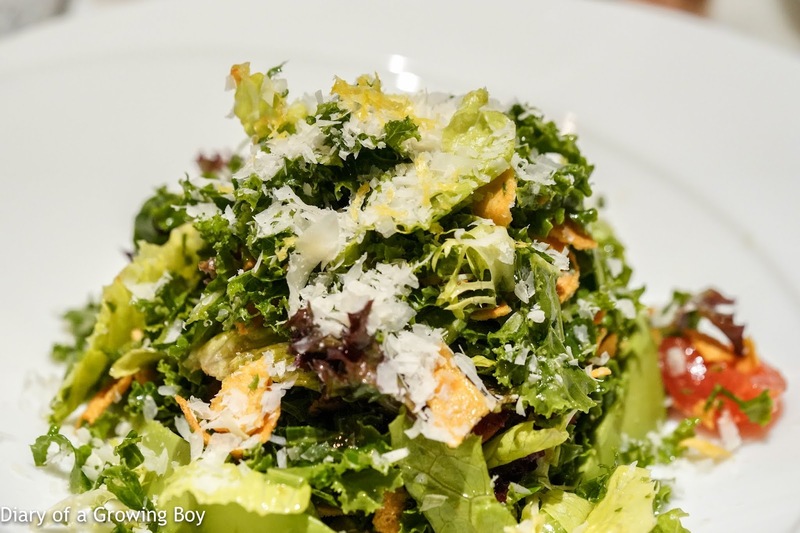 Very tender, with lovely smoky flavors, very strong meaty notes with a little bit of fat. 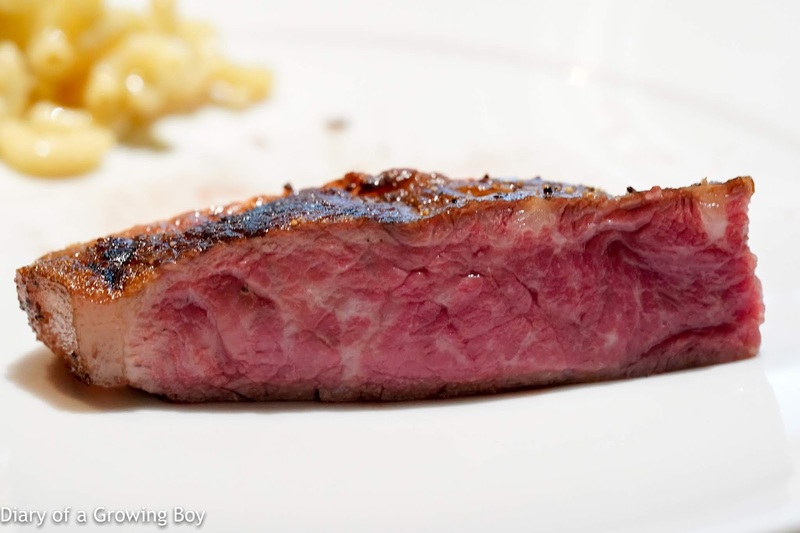 Australian wagyu-crossbred bone-in strip - nice with some tendons near the bone. 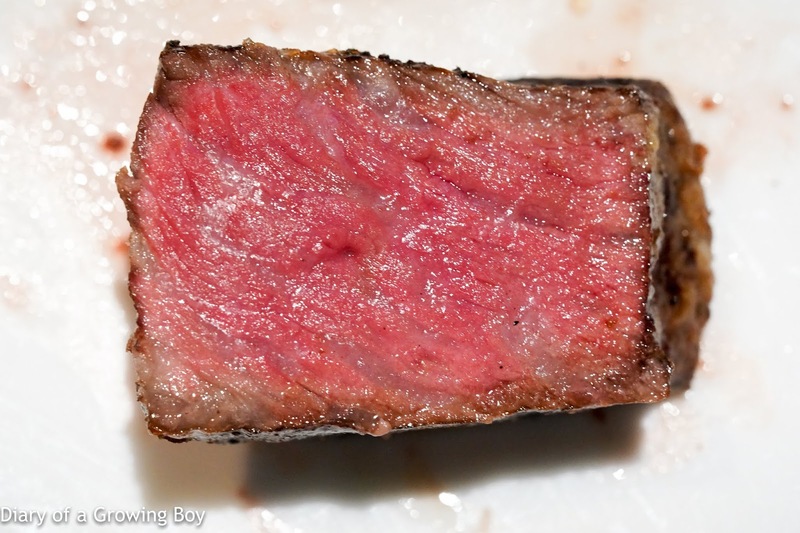 Very nicely cooked, pretty rare and basically bleu. Pretty tasty. 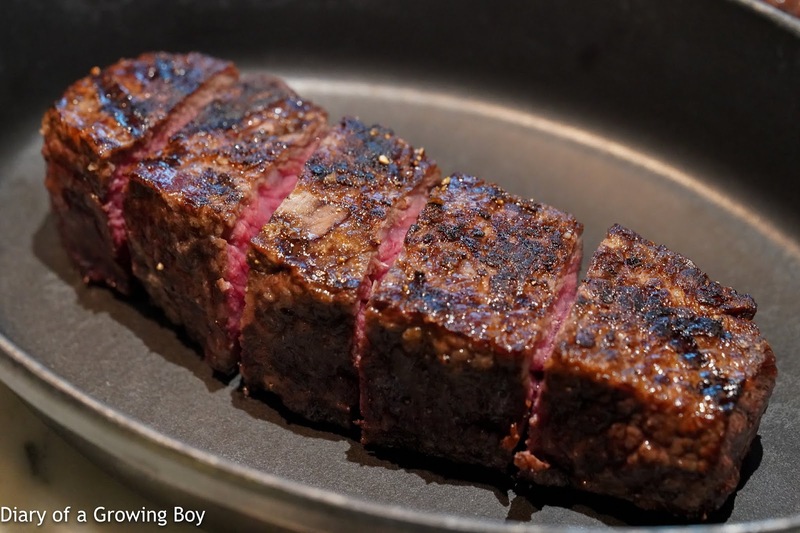 Korean short horn striploin - much to my surprise, the Hanwoo was my least favorite of the three. 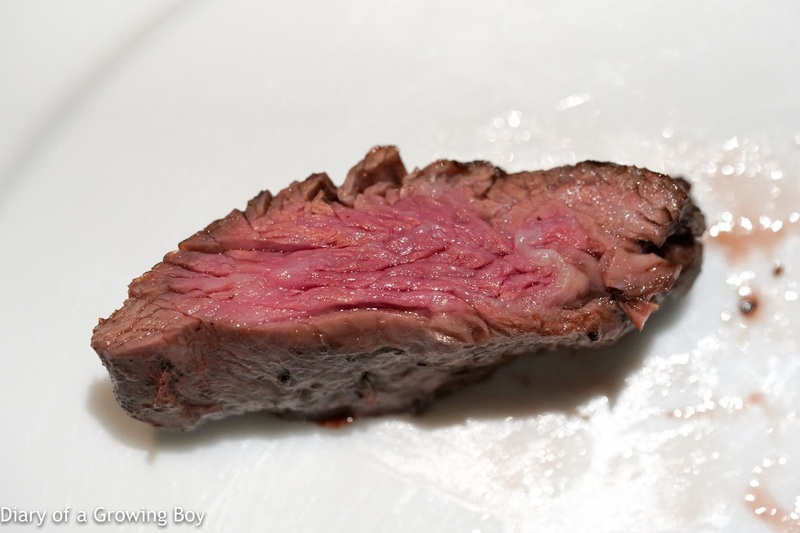 The edges were pretty well done, dry, and grainy... although the center was pretty rare. Somehow this was a little bland, and I don't mean just from the lack of salt. 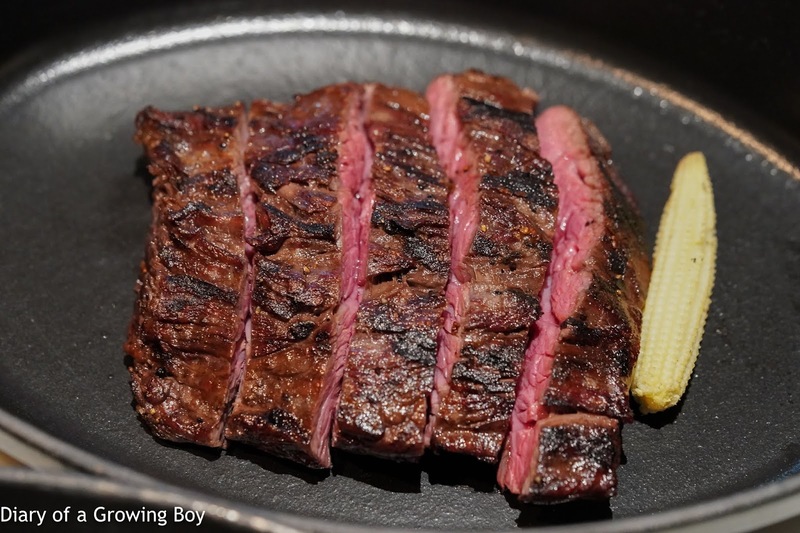 This was nothing like the Hanwoo beef I had in Korea last year, and the meaty flavors were clearly missing. 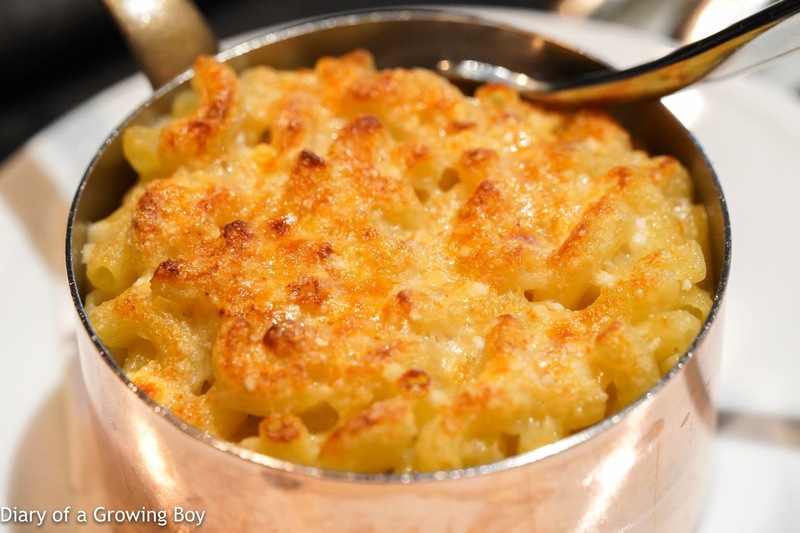 Mac and blue cheese - very delish. I couldn't resist spooning more onto my plate. We ordered a few desserts to share. "Irish coffee" soufflé and coffee ice cream - pretty nice. 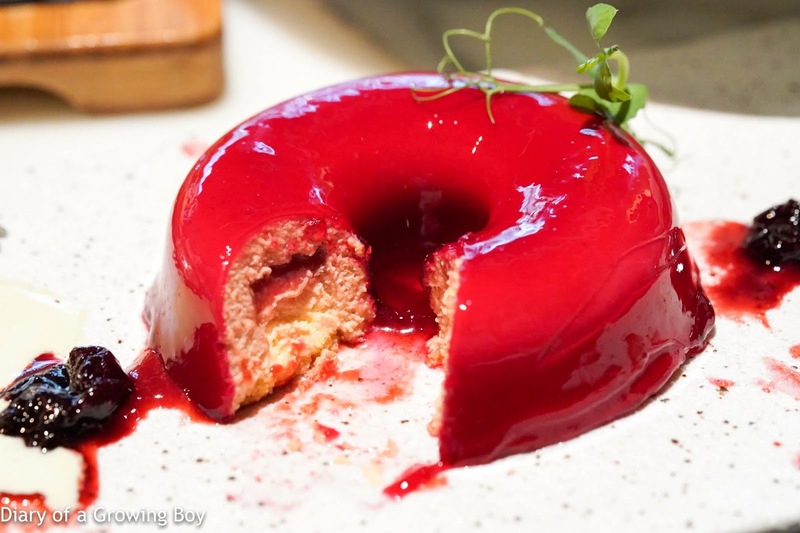 Cherry doughnut and pistachio ice cream - not exactly a doughnut, but made of cherry mousse and cake. Pretty good. 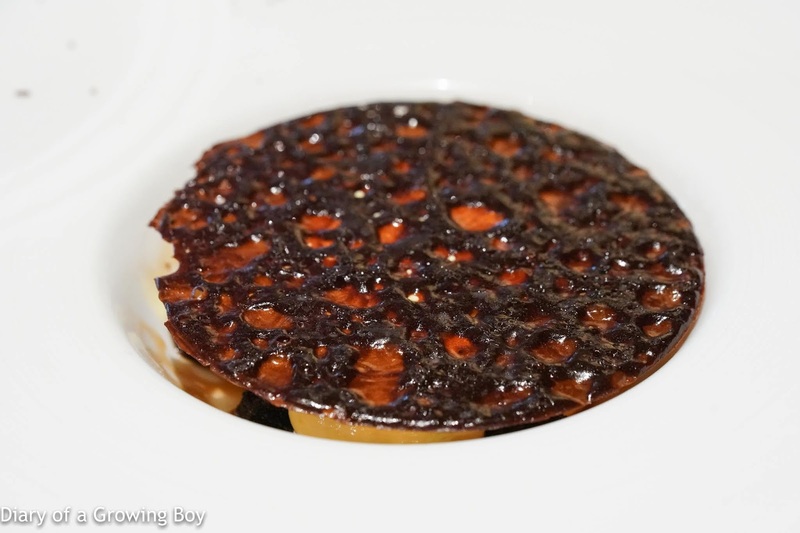 Tiramisu, mascarpone, chocolate heart - interesting that this has been deconstructed into something akin to a crème brûlée with chocolate crumble and a coffee tuile on top. A few bottles of cabs to go with our beef. 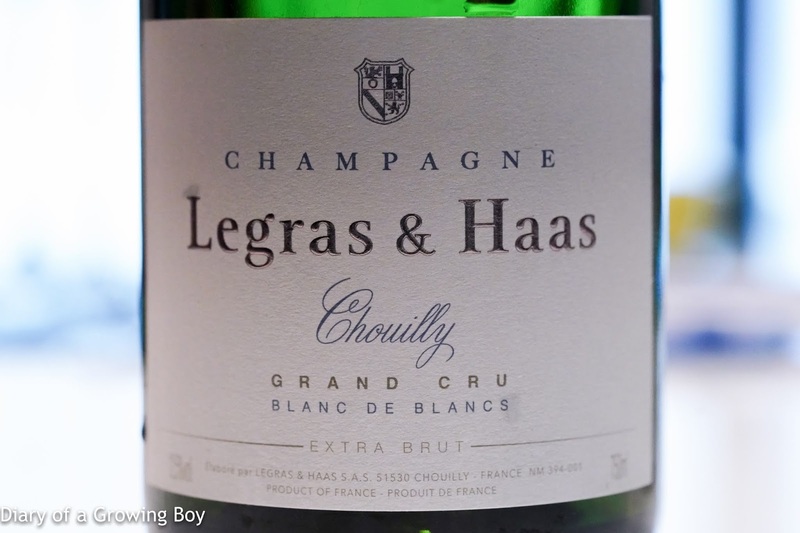 Legras et Haas Blanc de Blancs Extra Brut - pretty smooth and easy drinking, nice and rounded on the palate, some ripeness, a little toast. 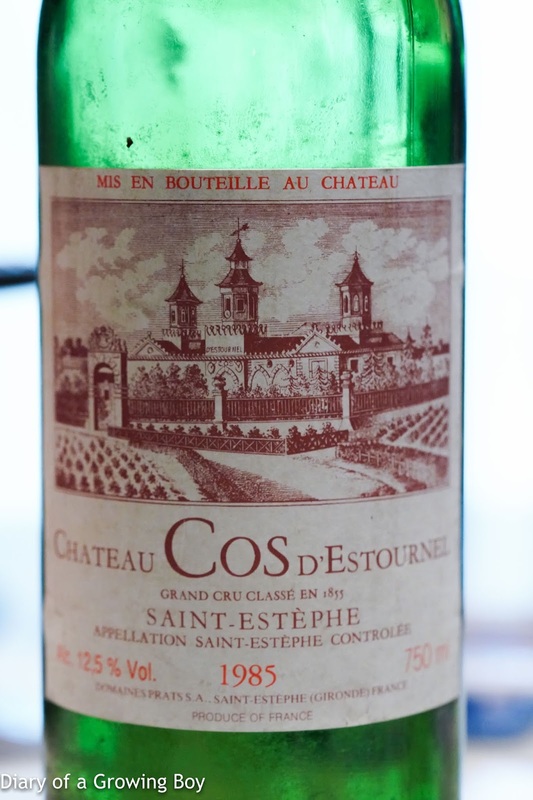 1985 Cos d'Estournel - classic claret with smoky, toasty, minty nose with pencil lead and cedar. Very lovely. 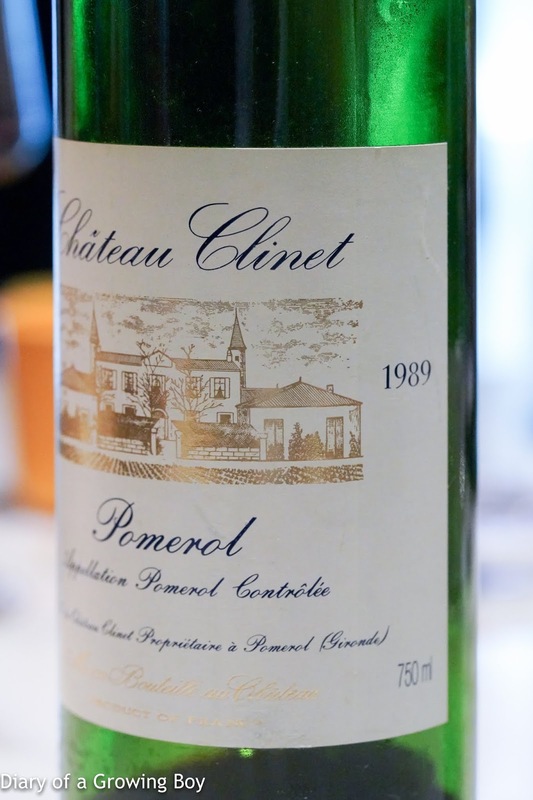 1989 Clinet - decanted for 1 hour prior to serving. Fragrant nose with cedar and smoke. 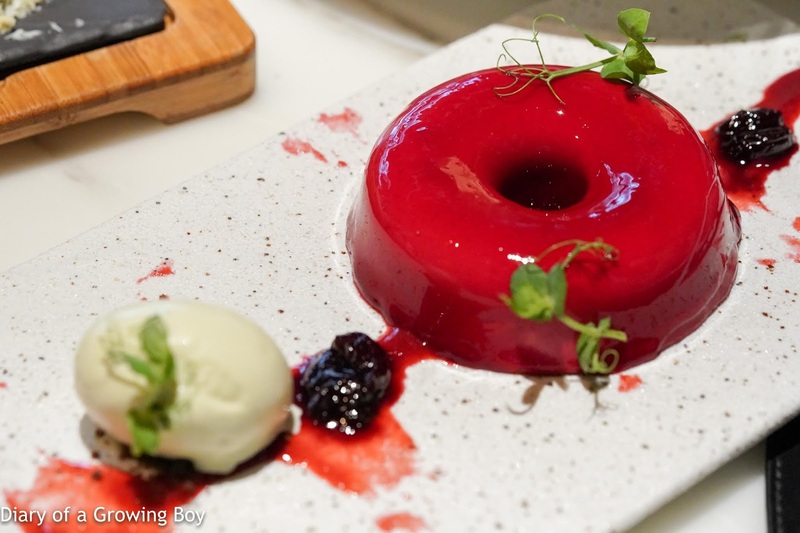 Sweet on the palate. 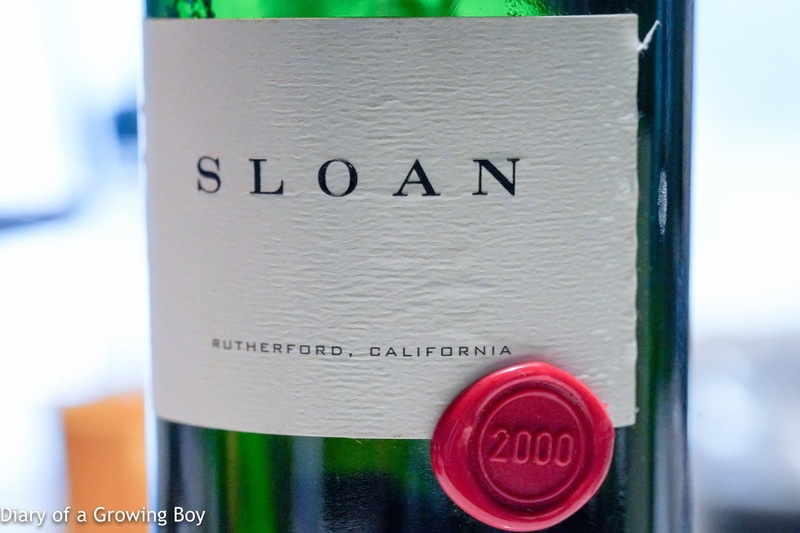 2000 Sloan - opened for 3 hours and decanted just prior to serving. Still sweet on the palate. Ripe and almost jammy, with plenty of woody fragrance, a little mint and eucalyptus. Still got a hint of sharpness and almost a little metallic iron.